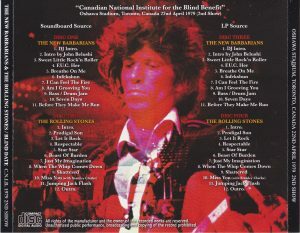 CNB Charity Concert in Canada in 1979 when New Barbarians and Stones became precious stages. This time we will release not only the first show but also eternal standard second show. Regarding this time, excellent sound sources of both audiences and sound boards are available from before, and we have established a firm position as one of the live sound sources of the 1970s Stones, which can be enjoyed by all people before the specialness of that gig. These sound sources were very venerable in the order of excavation that the LP era was the audience and the CD era was the sound board (laugh). If you are a mania, either of them would have been popular. The main feature of this release is sound board recording. More than twenty years ago, the appearance of the sound board of the second show of the CNIB concert that has been familiar with the superb audience recording until then has caused a great sensation. Although it is impossible, it is “BLIND DATE REVISITED” by the TSP label that nostalgia has shown the fierce battle condition of the items competing with each company, and it was briefly restricted. Unlike items of VGP and Kuya characters SHAVED DISC, it was a big difference that supplementing the missing part with LP audience recording. It was a triumph of TSP that had been introducing supplementing by another sound source of the same day which became common sense now as of 1995. However, there is tremendous equalization on the TSP, and the whole is subjected to fierce equalization, and it can not help feeling the times when the sound of the cymbal that made it a shariari unique to the label now becomes now. It is a fact that there was a so-called “genetically degraded” deterioration feeling that the sound source recorded in those items passed through several times of dubbing, and the finish of TSP trying to alleviate this problem even a little That was not bad. To prove it, until now, the second show of the CNIB concert continued to produce only copying machines based on TSP. The fact that a copyboard was made even in the 2010s is probably a proof of a masterpiece boasting exceptional longevity as a boot world. Although it said that, despite the previous odor of equalization, the appearance of a new upper version was craving. Over 20 years since the release of each item in 1995 including old-sized TSP board, the upper version of the original sound board finally appeared this time finally! Krw_co is not an exaggeration to say that it has been said that the launch of the upgraded version on the net made it a great place in the rare sound source world. He got the first generation sound source that he was copied from the original master cassette to the reel. And the upper feeling of this released version is brilliant. A superb quality that makes each item released twenty years ago unnecessarily unnecessary. Those items were not uniformly hidden since the cassette dubbing was overlapped, but the clearness of this version of the Rogane version stands out all the time. In addition to that, the sound board of PA out is recorded, but the stereo feeling that each instrument was appropriately divided to the left and right was also outstanding because the sound quality improved. And it was long before the announcement before the start of the concert began, and furthermore the announcement after the performance was first heard is also the upper version sound source. Regarding the loss of recording that occurred in “I Can Feel The Fire” or “Respectable”, I patched the audience recording of LP this time as well. This is also a condition that there is no excessive equalization like TSP, and it is a sound image recording that is still on, so it is compensated for as uncomfortable as I am surprised to hear it. Actually, although this time Krw_co version, the pitch was going out of mind when dropping from the master to the reel, there was a drawback that the pitch was raised on the net with the net being high. Of course, I adjusted this part precisely, so I promise a finish that I can hear with confidence. As for the audience recording heard on the LP, there will be many maniacs who have a strong attachment. 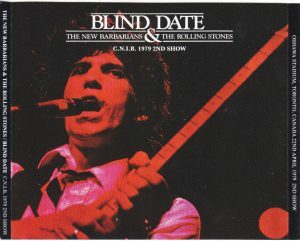 It is a masterpiece that let us know the new Barbarians’ live earliest with a red jacket that captured the title “BLIND DATE”, Keith singing. However, the original of “BLIND DATE” is not a red jacket, it is a very simple design whose title was stamped on Jake (some versions exist), and then the slick jacket specification with the titles and band member names on it Appearance. This consistently white and simple making version was ahead. It was Ken Douglas who led the label such as TMOQ and TAKRL that released them. When he introduced the color jacket from 1980 in a big way, it was a red jacket of example that was promoted to color jacket and re-released together with Stones’ classic boot “BLIGHT LIGHTS BIG CITY” etc. In the early days of the CD era, its red jacket was still the same (although a slip case with Keith’s middle finger raised slipcase was attached), it was also a long time ago that items with bad LP dropping were made. This time paying close attention from the nostalgic red jacket’s mint condition board to CD. Easily play back audience recording that mania familiar with clear sound without scratch noise. Although the minute is bad in front of the dramatic upgraded sound board, still good enough of the sound of the audience recording is enough to hear it. 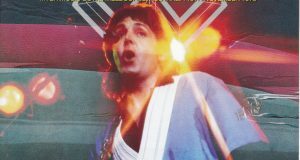 In addition, cutting at the base solo of Stanley Clarke in “Am I Grooving You” revealed by the appearance of the sound board introduced a novel editing that realizes complete recording by supplementing from the sound board. Audience recording itself is also a very sound image, so this is also surprisingly connected naturally. And it was also felt at the simultaneous release first show, but I think that the good part of New Barbarians has come out on this stage. 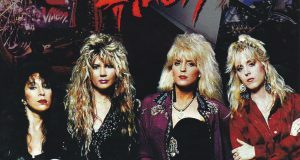 As Barbarians singles tour alone, members of other than Clark got drunk at a two-hour arena show like Lago, and they often fell into a simple Gudaguda live. In that respect, it is clear that the appearance that they are also playing hard as it is the length that each show will cut an hour and because it is a debut · gig. Furthermore, the combination of the rhythm team called Mr. Jigba · Modistrist to Genja Jazz bassist Clarke, and Genius Jazz bassist Clark, in other words, the combination of “strawberry Daifuku” combination can not be denied, the playing with the CINB concert was the best performance even more I feel like. 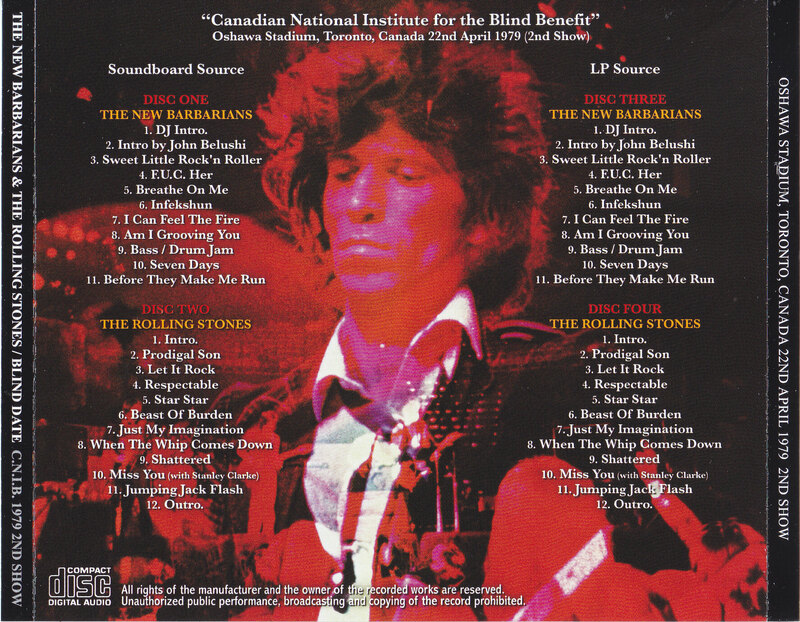 On the other hand, Stones was a series of happening after changing from the first show, but Mick did not sing out in “Star Star” which can also be said to be the trigger, after all it went around again and Keith played the intro again Mick sings singing scenes very thrilling on either the sound board or the audience. Rather it is one of the name happening. After that, the momentum of the United States · tour of the previous year as it is in the repertoire as well as the performance continues. However, in “Shattered”, the noise that seems to be a PA trouble frequently occurs and the performance is suspicious until the performance. Especially noise is real in the sound board. When it fits, Clark joins the Stones in “Miss You” and he starts playing the chopper style a lot. It is a live session that you can not say flattery that you can read the air, but at least since joining the stage of the big group of the rock world following co-starring with Jeff Beck at least the previous year, I was satisfied as Clark . One thing you can say is that you can enjoy these performances without getting tired of listening to both the sound board and the audience. 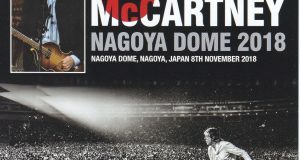 It is enough for amazing maniacs all over the world just by a soundboard which realized a dramatic upgrade, but it is definitely a mania tearful thing also a careful CD conversion from LP which realized at last became realized. The realistic feeling heard in the audience recording and the surprisingly sound image are really wonderful. A perfect limited press CD set covering all of the second show show of CNIB concert. It is the definitive version finally appeared in 40 years since the event!